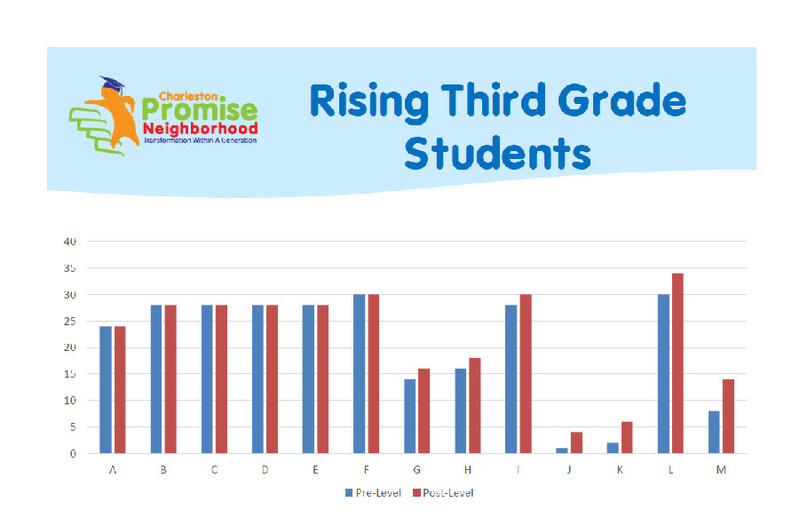 Once again, Charleston Promise Neighborhood’s empirically-validated summer program has succeeded in helping children improve their academic outcomes. 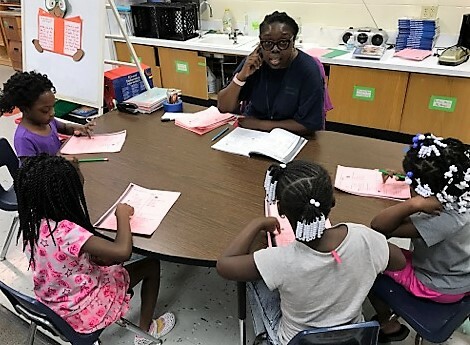 Charleston Promise Neighborhood’s summer literacy program for children entering kindergarten through fifth grade returned on June 11-29 and July 9-13 with the goal of preventing summer learning loss, commonly known as summer slide. The program focused on students reading below grade level to begin with. Lessons focused on literacy while integrating STEAM (science, technology, engineering, arts and math). Research shows that most of the achievement gap in reading between children from low-income families and other children occurs during the summer months, when school is out and children are home. In all, 113 students enrolled in Charleston Promise Neighborhood’s summer literacy programs. They were tested at the end of the previous school year and then after the summer program concluded. Below is an example of how students performed at Mary Ford Elementary School. Of the 13 third-graders who were in class for both tests, six maintained their lessons from the school year and seven made gains. For the whole program, 93% of the students, grades 1-5 (kindergarteners were not pre-tested because they were not in school last school year), avoided summer slide. More than half of those scholars achieved gains in their reading ability. They will enter the next grade more prepared for success than they were when they left school in the spring. This success was made possible by Charleston Promise Neighborhood staff, Principal LaDene Conroy, administrators and summer teachers.